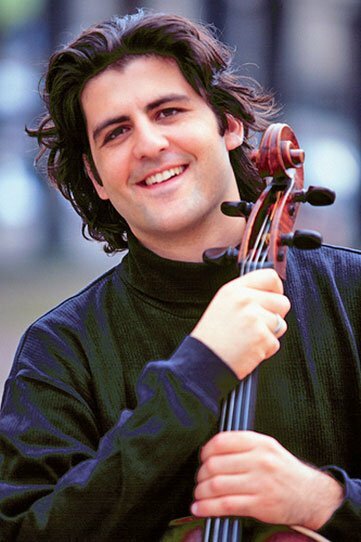 The Israeli cellist Amit Peled brought an old fashioned recital to the Boston Conservatory’s String Masters Series in Seully Hall on Sunday afternoon. While many programs these days are curated affairs with some clear logic uniting the chosen repertoire, Peled’s selections ranged from Francois Couperin, to Johannes Brahms, to salon show pieces, to Irakli Tsintsadze, to John Williams’s Theme from “Schindler’s List. It was an odd assortment. Peled opened the program with Couperin’s Five Dances and demonstrated a bold tone, wide vibrato, and no regard for baroque performance practice. This choice in itself isn’t necessarily a fault, but even on its own terms his modern take was leaden and did not find the charm in Couperin’s work. This was followed by Brahms’ Cello Sonata No. 2 in F, Op. 99. Here, too, Peled’s interpretation proved earthbound and overwrought—lacking the rhythmic swing, strong direction, and unaffected tenderness needed to bring Brahms off the page. Peled’s pianist, Noreen Polera (credited, in another old fashioned touch, in small font with no biographical information) proved herself sensitive, if rather timid. After intermission, Peled spoke from the stage and explained that he designed the second half of the program as light entertainment to balance the weightier first half. Another goal was to make it a bit of a cello exposition for the students in attendance—a cellist’s cello recital, if you will—as he is a visiting pedagogue at BoCo this week. Gaspar Cassado’s Requiebros and David Popper’s Tarantella were both charming pieces and indeed good showcases for Pelad’s formidable technique. Franz Schubert’s famous Ave Maria was appropriately pretty but still not free of the heaviness that had plagued the Brahms. We were lucky, however, to have Peled introduce us to the next piece: Tsintsadze’s Five Pieces on Folk Themes. Tsintsadze is a living composer from Tbilisi and this piece was based on the folk music of Georgia and reinterpreted in a manner somewhat reminiscent of Bartok. Peled explained that he was sent the score and decided to learn it because it looked both “cool” and impossible to play. The first movement was a haunting peasant song, and the second was a guitar-inspired movement with pizzicato fireworks. The third movement was a wedding song, the fourth a lullaby, and the finale was a vibrant dance. In this piece Peled was clearly in his element and his playing was both impressively virtuosic and expressively unrestrained. Next came the brief “Schindler’s List” theme—somewhat cloying without the tension of its cinematic context. To close came Karl Davidoff’s At the Fountain, another showcase for textbook cello virtuosity. In response to a standing ovation, Peled took to the stage as if to give an encore, but instead offered to answer questions from the audience. Few took advantage of the opportunity, but it’s a nice idea that could play well with the right crowd.